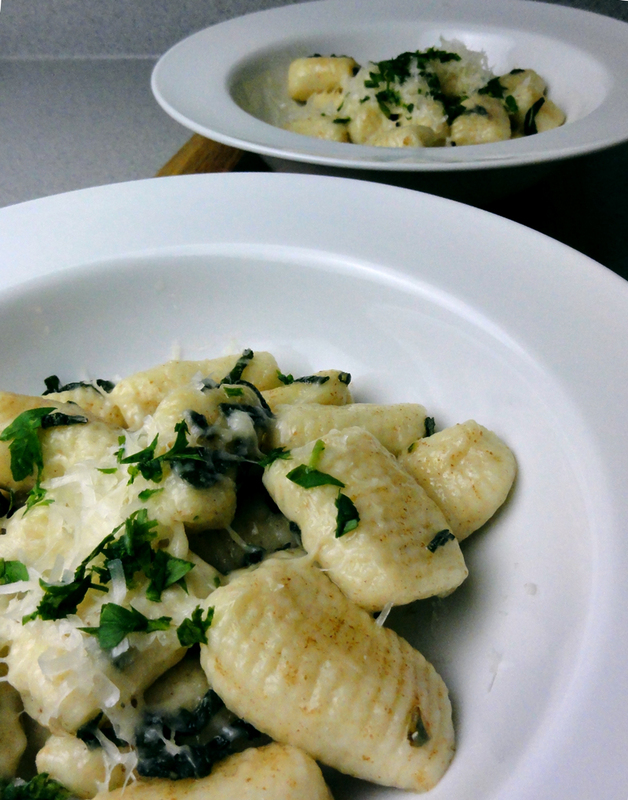 Few dishes are as comforting, or as simple, as potato gnocchi. In Italian, it’s pronounced nyawk-kee (think Yawkey with an ‘N’ in front) and it’s derived from the Italian word for knuckle. Pillowy soft potato gnocchi is an easy way to get your kids involved in creating a handcrafted, delicious dish. Most of the steps involved can be done without risk to little fingers, and your kids will love getting their hands dirty when they mix the dough. Making gnocchi is less complicated than you think, and it’s a great winter-time weekend activity for you and your kids. Once you make the gnocchi, you can serve it with red sauce, pesto, or just butter and cheese for picky eaters. Generally, I’m in favor of using whatever you have available in your pantry for most dishes. But here, you really need a fluffy, starchy potato, like Idahos and whites. Using a waxy potato, like Yukon Gold, can make your gnocchi gummy. Put the potatoes in a medium pot of salted water. Bring to a boil and cook until very tender (a cake tester or toothpick inserted will pull out easily), about 30 minutes. 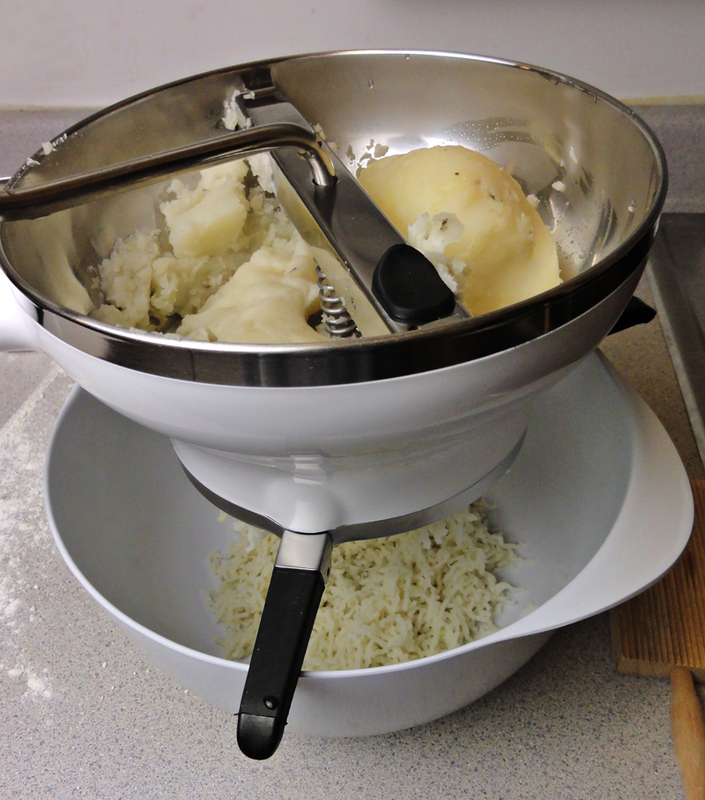 Drain the potatoes well and allow them to cool just until you’re able to handle them. 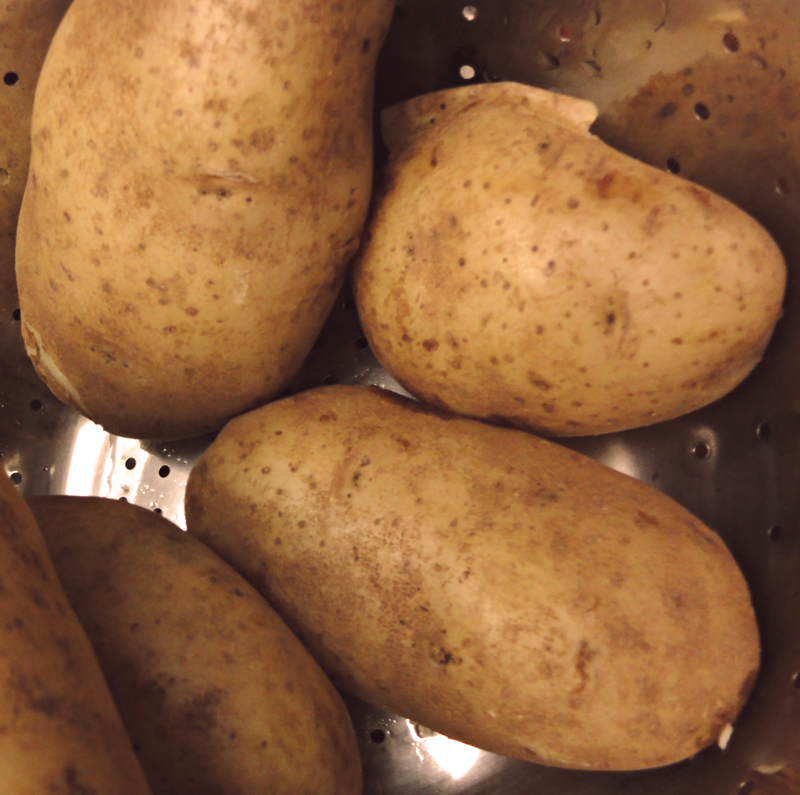 Parents only: Peel the potatoes while still quite hot (the skin will come off easily) and use a food mill or potato ricer and put them on a parchment-lined baking sheet to cool. Dump the cooled potatoes onto a lightly floured work surface. 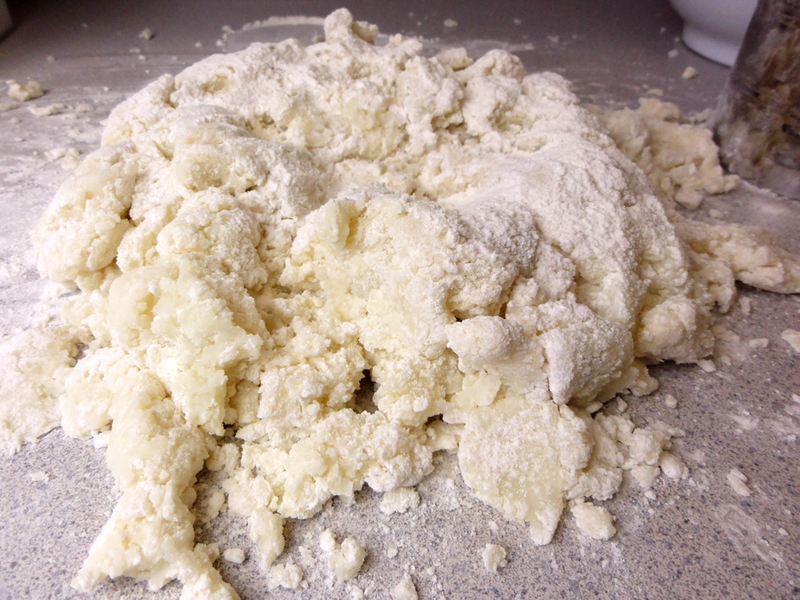 Pasta pros can use semolina flour to ensure that the gnocchi doesn’t stick together in storage. But regular white or whole wheat flour will work here as well. Sprinkle 1-1/2 cups of the flour over the potatoes and fluff the flour into the potatoes, using your fingers and a light touch. Gently gather the potatoes into a mound. Create a well in the center of the mound and add 1-1/2 teaspoons salt. Crack the eggs into the well, and, using your fingers, combine all the ingredients. Knead the dough by pushing it away from you with the heel of your hand, folding it over, giving it a quarter turn, and pushing it away again. Continue kneading, sprinkling on a little more flour as needed, until the dough just forms a ball and feels delicate and a little bit sticky. Set the dough aside and clean the work surface of any hard bits of dough. Sprinkle the work surface lightly with flour. Roll the dough out with a rolling pin to about 1/2 inch thick. Use a bench scraper or knife to cut the dough into strips about 1/2 inch wide. Roll each strip under your hands to form a log and cut the logs into 1-inch pieces. If you like, you can give your gnocchi grooves, by sliding them against the back of a fork’s tines, or use a gnocchi board. 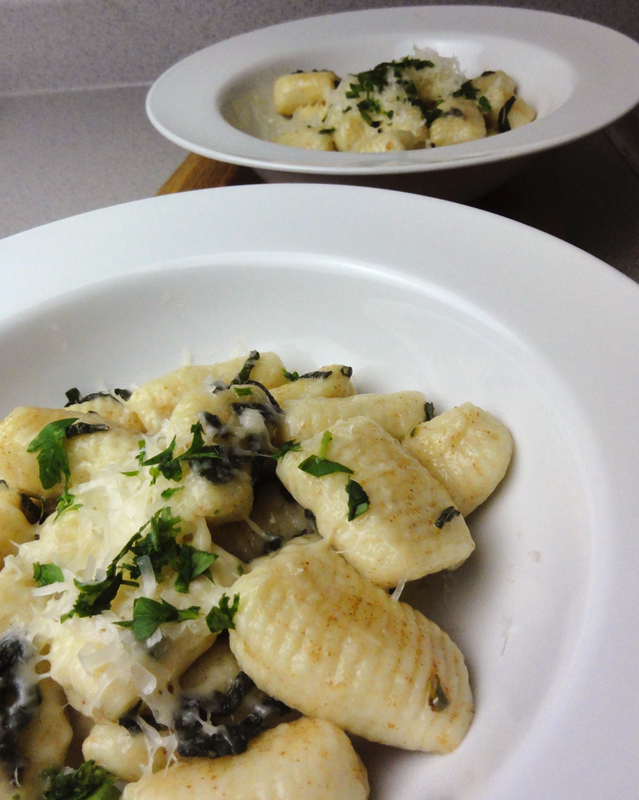 Bring a pot of water to a boil, and cook until slightly puffed and the gnocchi float to the top. Drain and serve with butter and cheese, pesto, or sauce. Make a double, or triple batch, and freeze some for later—it’s an easy weeknight meal that requires little more than boiling water and warming up your favorite sauce. To freeze, line a baking sheet with parchment or wax paper. After rolling, cutting and shaping the gnocchi, add each little dumpling to the sheet, making sure that they don’t touch (it will be hard to get them unstuck if you do). After they have frozen solid, about 2-4 hours, put them into a double layered freezer bag to avoid freezer burn.